It’s no mystery where Port wine get’s it’s name: the city of Porto. It might surprise you, however, that today there are precisely zero Port wines aged in Porto; in fact, the wines that are not aged in the Douro, are aged in the city of Vila Nova de Gaia, that sits in the river bank across from Porto. Today, Port wine can also be aged in the Douro region, which is roughly 100 km (60 miles) from Porto. Up until relatively recently, all wine produced in the Douro was grown and harvested locally, and then placed on traditional “Barco Rabelo” ships to be carried down river to Gaia, where it was aged and eventually bottled. This was because temperatures in the Douro Valley were too high and wine aged there would quickly became flawed: a fault that was called “Douro Baked”. The cellars in Vila Nova de Gaia, on the other hand, have the perfect temperature and humidity conditions to age wine. Advances in technology have made it possible to build cellars in the Douro that allow for the correct aging of wines, so many producers are moving towards aging wines in the Valley. The older, large brands such as Graham’s still age their wine in Vila Nova de Gaia, where you can take a tour of their cellars. The story of Port wine begins the same as any wine: grapes are grown and harvested, stomped (or pressed) to extract the juice, and then stored in vats to begin the fermentation process. The next step, however, is what separates Port wine from the others: before the fermentation process is complete, a key ingredient is added: Brandy. This wine brandy is a tasteless, odorless spirit with 77% alcohol, not like the Brandy you drink. This process fortifies the wine, preventing the natural sugars in the grapes from being broken down into alcohol, which is what gives Port wine it’s distinctive sweetness and robust flavor. This process is called Fortification, and it is used to make many other “dessert” wines, including Moscatel, also produced in the Douro region. 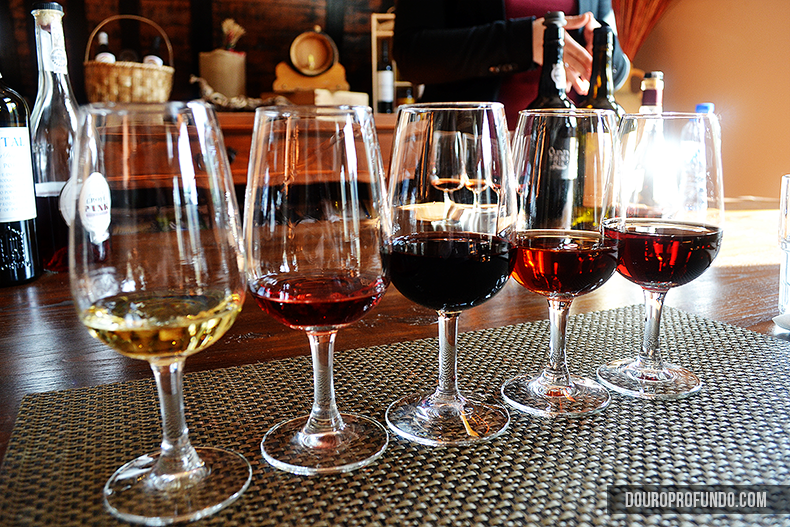 Most Port wine will fall into one of three families: Tawny, Ruby and White. Each family has several variations; being familiar with each family and it’s sub-varieties make it easier when deciding which to buy, or which to pair with specific foods. Tawny Port is known for having a sweet flavor, and for it’s characteristic golden color, ranging from a pale yellow, to a deep amber. It is often aged in a small cask (or barrel), which allows for more exposure to the air and wood. Ample contact with air and wood is what gives Tawny it’s color and flavor. Tawny can also be aged in a large cask; in which case the cask is roughly 1/3rd full, to provide similar conditions. It’s flavor is often compared to vanilla, nuts and caramel, aromas associated with the wood of the cask where it is aged. As with many Port wines, Tawny is often paired with desserts, while some are better enjoyed on their own. You’ll find that the flavor of Tawny varies greatly from one Port wine house to the next; each use a different selection of grapes, and have a different aging process, resulting in a spectrum of flavors. 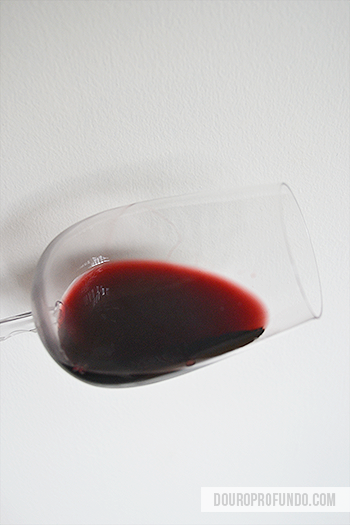 Despite it’s vastly different flavor and color compared to Ruby port, both are made from red grape varieties. this wine has been aged for a minimum of 2-3 years in cask before it’s bottled. It is often considered sweet, but traditionally has more of an acidic flavor when compared to older, more mature Tawnies. Of the family, it is often the least expensive Tawny you can buy, which makes it a great starter wine for those looking to get a taste of the Port wine world. We recommend trying a Tawny from a large Port house that age their wine in Vila Nova de Gaia (near Porto), and then compare it to one from a smaller vineyard that ages it directly in the Douro valley. You’ll be surprised at how different they can be. Tawny Reserve: a reserve Tawny is one that has been aged for longer period of time, often up to 8 years. It’s a step up in quality from the standard Tawny, but it’s not as common as the other varieties. Tawny with age indication: often you’ll see them labeled as 10, 20, 30 or 40+ years old, which refers to the average age of the grapes used to make the blend. Making these wines is a true art because the wine makers are not only looking to make a great wine with grapes from that average age, they’re looking to make them consistent over the years – in hopes that a 20 year Tawny bottled 5 years from now, would taste the same as one bottled today. Tawny Colheita: “Colheita” literally means “Harvest” in Portuguese, and that’s what this is: a single harvest that had such incredible quality, it was deemed too good to be blended. It’s often aged for 20 years or more, then bottled and is ready to drink. Normally these are really exceptional, and they can be a rare sight in stores, you’ll have better luck at the brand’s wine cellar, whether it’s on the vineyard or in Vila Nova de Gaia. 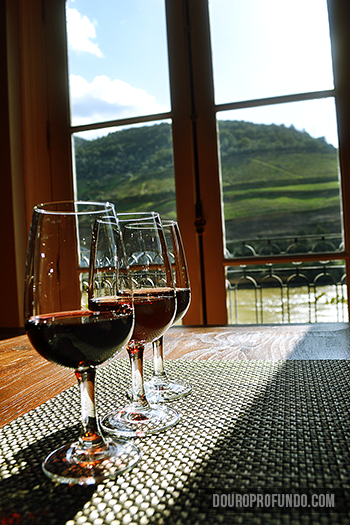 Ruby Port is by far the most common and recognizable of all the wines from the Douro region. It is often the Port wine people are most familiar with. Named after it’s deep, ruby color, Ruby Port has it’s own distinct flavors that are very different from Tawny (despite both being made from red grapes). It’s flavors range from dry and earthy, to fruity and perfumey. Ruby port is aged in large casks, which limits it’s exposure to both the wood and the air (opposite of the Tawny aging process). As a result, Ruby inherits it’s flavors more from the grape itself and the soil where the vine grows, rather than the wood where it is aged. Standard Ruby: Any Port wine labeled solely “Ruby” often won’t have any age indication. On average, it has been aged for 2 or 3 years before being bottled. Unlike some other Port wines, this wine is ready to drink – standard Ruby generally does not improve with age. You might also see some special edition Rubies, labeled “Premium” or “Fine Ruby”, these can be substantially different. Ruby Port is often a blend of vintages, and is the least expensive Port you can find. Ruby Reserve: Sometimes labeled simply as “Reserve”, you can assume it is a Ruby Reserve if it does not specify that it is Tawny or White Port. As with other Reserve port wines, the aging process is longer and it’s a finer wine. But unlike the Tawny Reserve, which is close in flavor to the 10 Year Tawny, this reserve is closer to the standard Ruby than it is to its Vintage cousins. Vintage: This is the absolute pinnacle of Port production. Vintage Port is widely considered the best quality, and is often also the most expensive Port you can buy. It is aged in a vat for only two years and then it is bottled unfiltered, meaning it continues to age (and improve) in the bottle. Some Vintages age for 20 years or more in a bottle, and at one point it will reach what is called it’s “peak”, which is the perfect time to finally open and drink the wine. A Vintage wine’s peak can last 10 + years. Releasing a Vintage Port is a complicated affair, as it is heavily regulated by the Port Wine Institute. A producer needs to send samples of the wine they plan on declaring as a Vintage, and it needs to be approved by the Institute. After the approval, the wine can be bottled and sold with Vintage on the label, along with the year the grapes were harvested. If several tests from different winemakers come back positive, a General Vintage Year is declared – which is an uncommon occurrence. General Vintages used to be limited to three per decade, but that rule has since been revoked. But even if the year is a Vintage Year, wines still need the seal of approval to be labeled as Vintage. A large wine producer will hope that most of their Quintas have Vintage-quality harvests in the same year so they can produce a general vintage. 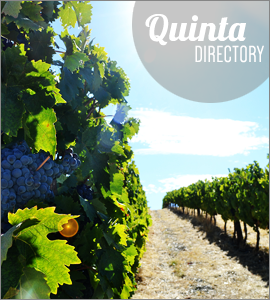 However, if only one or even a few of their Quintas are considered good enough, they will release a Single-Quinta Vintage – a Vintage that comes only of that specific estate. Late Bottled Vintage (LBV): This style of Port ages for between four to six years in cask before being bottled. It’s made of premium Port from a single harvest, normally one that was considered excellent, but not exceptional enough to be considered a vintage year. An LBV can also be made from the premium grapes of a non-vintage year. Regardless, a wine labeled LBV can generally be considered to be of exceptional quality. Most LBVs you see are likely filtered, meaning they do not age in the bottle. However, if labeled “Unfiltered” it can continue to improve with age, but generally speaking it is ready to drink as soon as you buy it. Crusted Port: Much like a Vintage Port, a Crusted Port is made from exceptional grapes and bottled unfiltered, which is where it gets its name: the crust (or sediment) that forms in the bottle. This means it will continue to age in the bottle, and can be stored unopened for a long period time and it will keep evolving in the bottle. Crusted Port is made from a blend of harvests from different years, and quire rare, very few estates produce Crusted Ports, so you won’t find them in many stores. Although not nearly as well known as Tawny or Ruby, this Port has it’s own distinct flavors. Produced exclusively from white grape varieties, this wine is often enjoyed as a Apéritif before a meal, or as a cocktail mixer. As with any other Port wine, there are a few varieties; aging time results in either a sweet, or very dry wine. 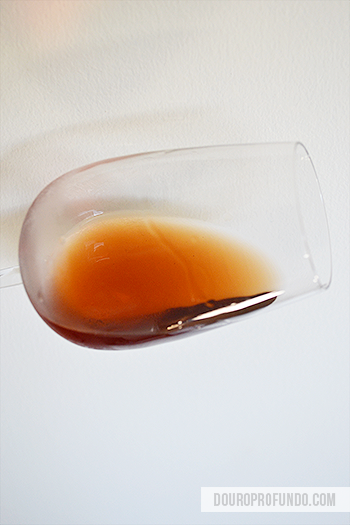 Often never aged longer than 10 years, White Port can develop a light golden color as it ages. Young White Ports are fruity and acidic, making for a great wine cocktail. Although there are many other fortified and dessert wines produced in the Douro, only a select few can call themselves a “Port” wine. In addition to the 3 Port wine families, there are a few others. Rosé Port: Rosé Port wine is a new addition to the Port wine family. Currently, there are very few vineyards producing it, but every year there seem to be more Pink Port wines being released. Pink port has a unique process, in which red grapes are pressed to extract only the first juices, and then discarded (other Port wine grapes have a more rigorous extraction process to obtain as much juice from the grapes as possible). This gentle press gives the wine it’s light pink color.